We know the last thing you want to think about is unwanted repair costs or project downtime because your equipment needs to go in for repair or your software or firmware gets outdated. The good news is you don’t have to; Trimble Protected is here to take out the guesswork. When you purchase hardware or software from SITECH, it comes with a Trimble Protected warranty which covers the cost of repair and provides you with replacement equipment while yours is in the shop. It also ensures you have the latest firmware versions. Even when your factory warranty comes to an end, your peace of mind doesn’t have to – that’s when Trimble Protected Plus comes in. What is Trimble Protected Plus? Hardware only - cover wear-and-tear, protection from environmental damage and surge protection just to name a few. For more information about Trimble Protected and what issues it covers please contact Chris on +61 2 6788 2155. The Trimble Protected Plus programme provides tangible benefits and peace of mind. When you’ve already invested significantly in Trimble technology, the Trimble Protected Plus programme lowers your total cost of ownership over the life of your investment, and ensures your equipment is up to date with the latest firmware and software to maximise your productivity and investment. We know the last thing you want to think about is unwanted repair costs or project downtime when your equipment needs to go in for repair. To take out the guesswork, Trimble Protected Plus plans protect you from unexpected repair costs at a reasonable cost, making it a smart investment. What Equipment and Software are eligible for this program? Any eligible model of hardware, including Control Boxes, Machine GNSS receivers and targets, Robotic Total Stations, SPS Surveying Equipment, Data loggers and Tablets. It also covers the Business Center – Heavy Construction Edition software. Improve equipment operation with a FREE Inspect-Clean-Calibrate for your Total Station, included in the Trimble Protected Plan for Total Stations. What other Benefits do I Receive with a Trimble Protected Plus Plan? 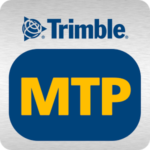 My Trimble Protected (MTP) for Android provides the ability to manage your Trimble product, registration and warranty information wherever you are using your Android mobile device.